We are happy that Lab 1886, the incubator of Daimler AG, will provide an external case on designing a micro-mobility service. 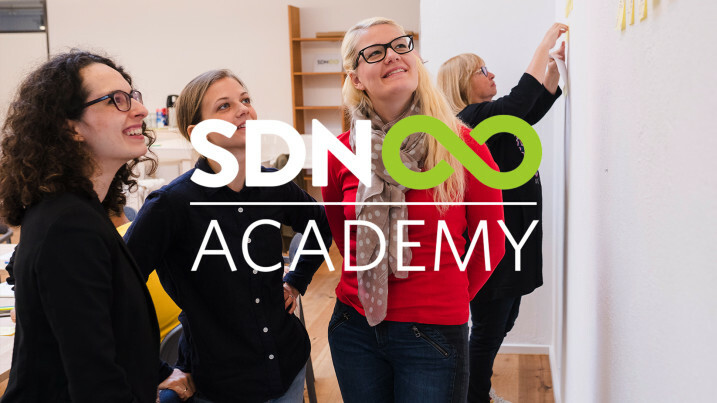 After learning the fundamentals of service design, attendees of the SDN Academy will be able to gain some hands-on knowledge by applying service design to the external case. Co-Trainer Cristine Lanzoni is a service design practitioner and Project Manager at Service Design Network (SDN). She has experience designing and implementing services, from concept to spread sheets and the nitty-gritty details of interaction and visual design. At her work, she currently manages different user journeys and leads improvements to their touchpoints in order to deliver better experiences to the end-users while streamlining internal processes. Cristine holds a MA in Design Management and has previously worked as a Visual Designer and Lecturer on the topics of Creativity and Marketing in Brazil. Workshop Trainer Anna-Sophie Oertzen is a co-creation enthusiast who focuses on how different stakeholders can collaboratively design successful services that are user-centric, yet profitable for the provider. She has 500+ hours of working in multidisciplinary teams on Service Design projects and a sound history of doing qualitative and quantitative user and market research. Anna-Sophie is currently pursuing her PhD on participatory design of services at the Service Design for Innovation Network (SDIN) funded by the European Union’s Horizon 2020 Research and Innovation Programme. She has presented her research across many countries and authored several publications. 09:00 AM - 05:00 PM On Day One, we will introduce you to the fundamentals of service design and Lab1886 will present the case. Then it’s time for user research, ideation techniques, and personas! 09:00 AM - 05:00 PM On Day Two, you will refine your ideas, for instance with journey mapping, prototyping, and testing. In the end, your will get a chance to discuss your findings with Lab1886.